How can you help ellis and our Mission? What could your gift to the Ellis Center do? Though Ellis is honored by past support and the good it produced, we’re not done growing and reaching more families. To best serve children with multiple disabilities and provide the highest quality programs, we need help from you. "We're so excited to attend Camp ImpAACt for the first time. We're from Florida and there are no accessible camps for children with multiple disabilities in our area. We also appreciate that Ellis provided us with a scholarship to help offset travel costs!" what has past support accomplished? At Ellis, we focus on what IS possible for children with multiple disabilities. Over the past six years, we’ve seen immense growth in our programs and the amount of families we can impact. WE CAN ONLY ACCOMPLISH THIS THROUGH YOUR SUPPORT! "A neighbor of mine was blown away by how communicative our daughter was. She said in 10 years she had never seen her put out that much information accurately. Thank you guys. That was my best present all year!" Want to partner with us to make your dollars really go further in our community? Community partners provide sustainable resources that allow us to look to the future and increase our programs for the families that we serve. Consider making a recurring donation to make your donation stretch further. 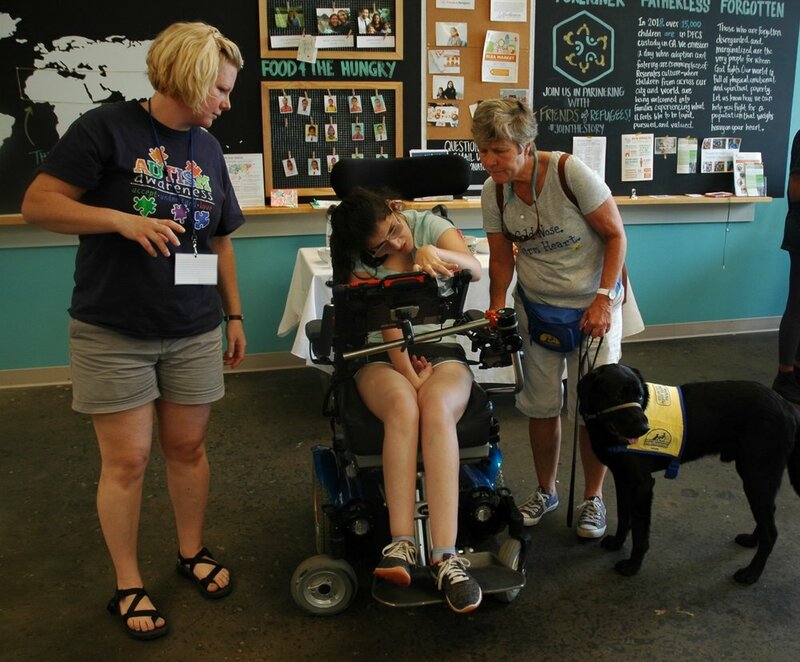 A donation of $20 a month can enable our center to provide things like experiential learning trips in the community that our students need to have a full sensory experience. You can also donate needed supplies and items that will reduce our need for financial support.